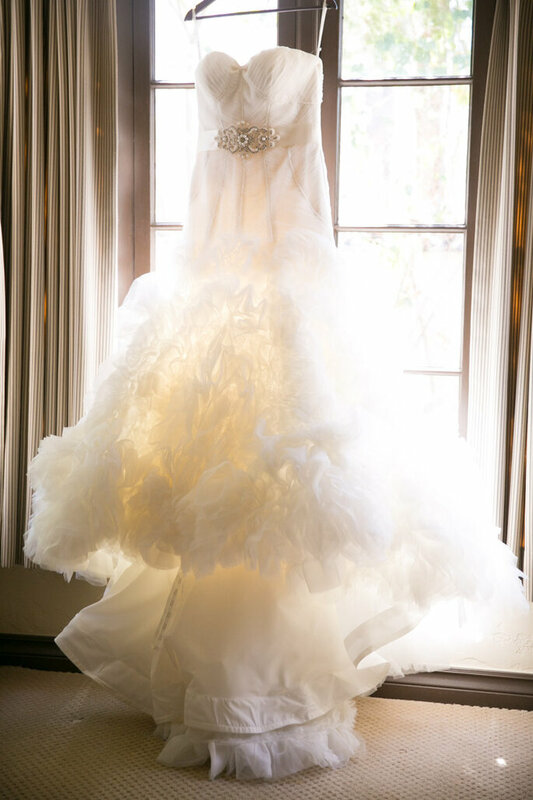 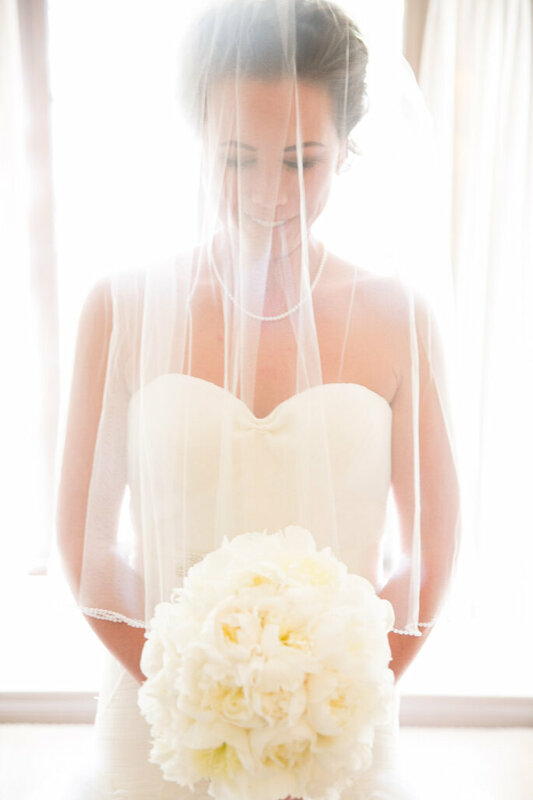 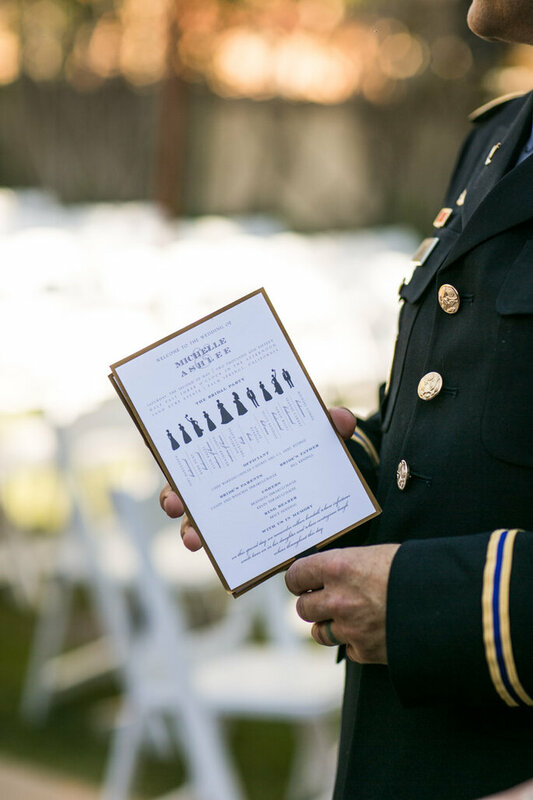 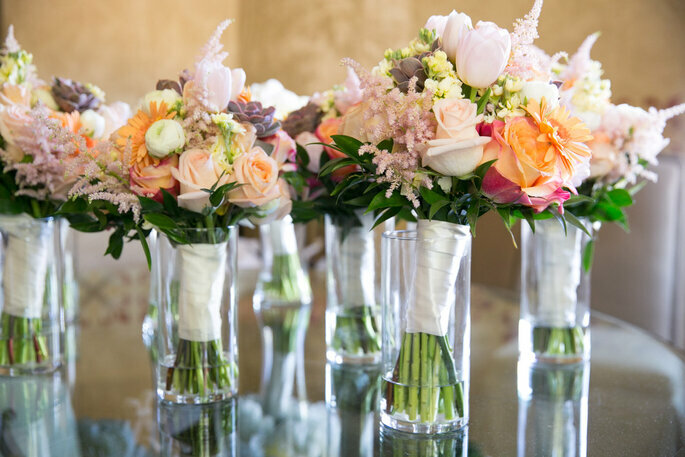 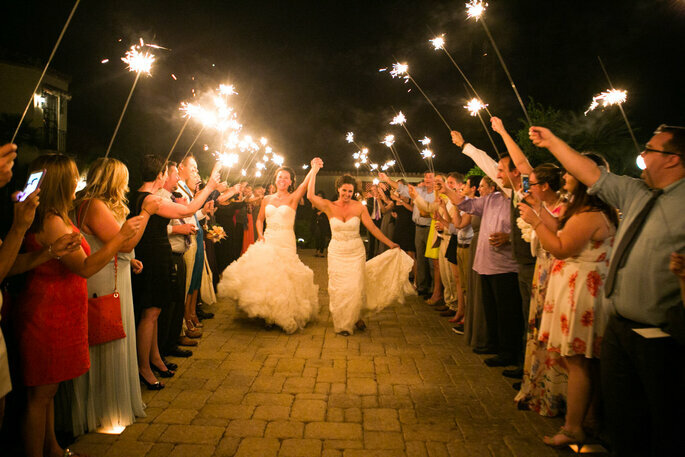 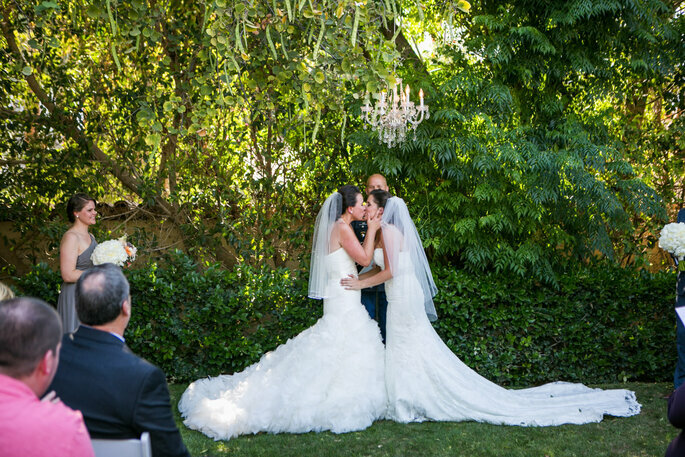 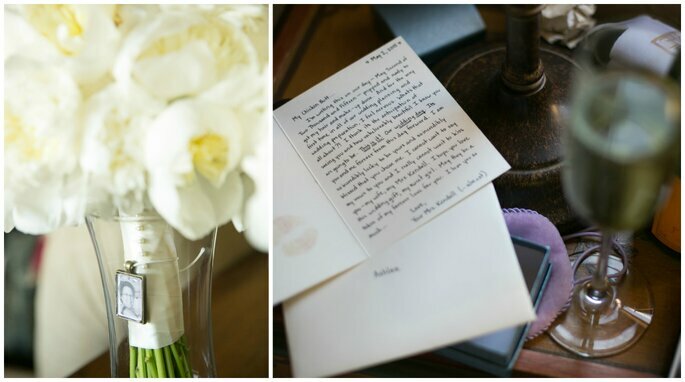 We absolutely love this real wedding in California. 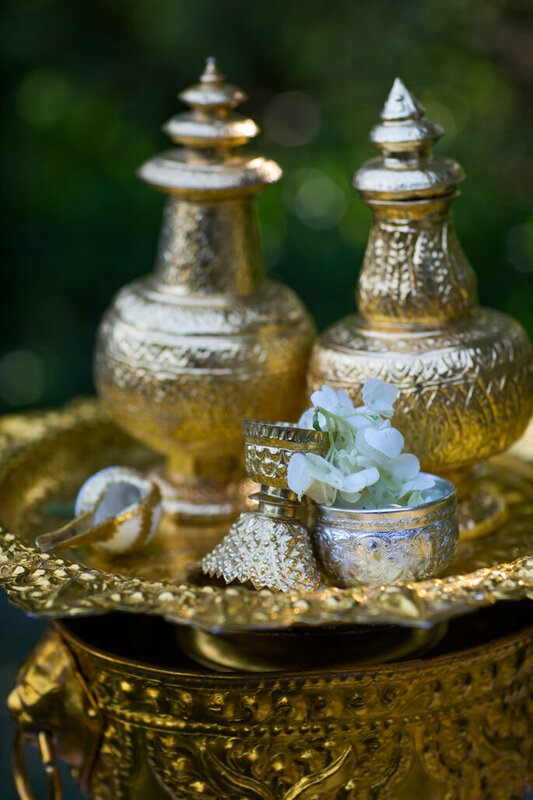 The gorgeous photographs in the desert are stunning and the brides beautifully incorporated a Thai ceremony in honor of Michelle’s cultural heritage. 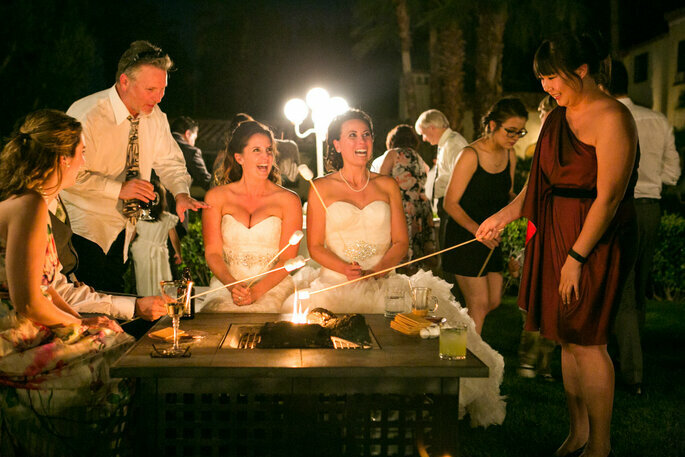 The lovely moments were captured by Michael Segal – to see more of his real weddings, check out Real Wedding in California and we also featured him as one of our top picks for wedding photographers in Los Angeles. 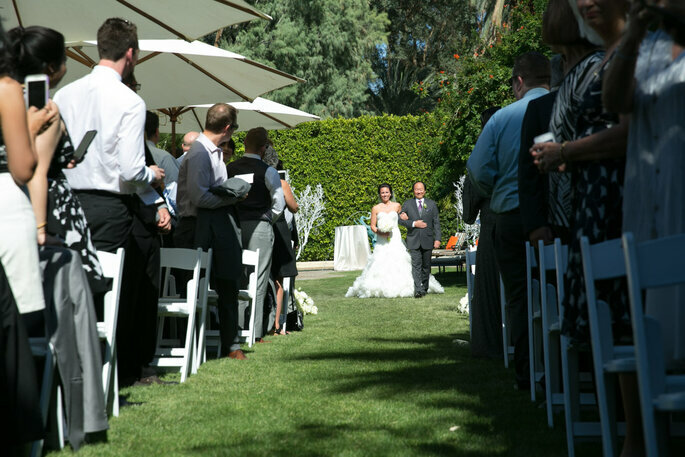 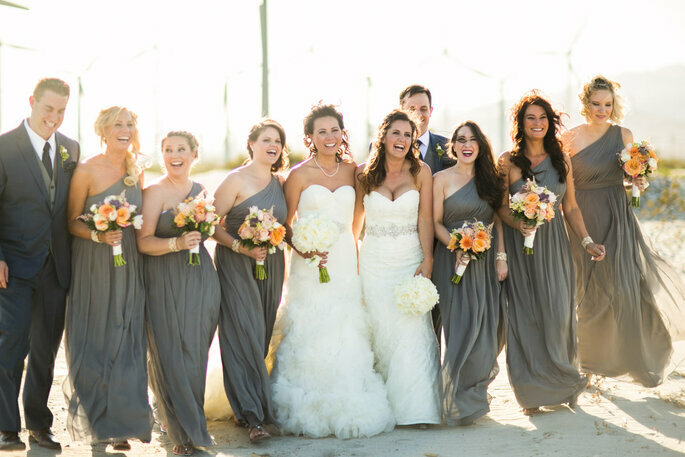 The wedding took place at the beautiful Sand Acre Estate in Palm Springs, California. 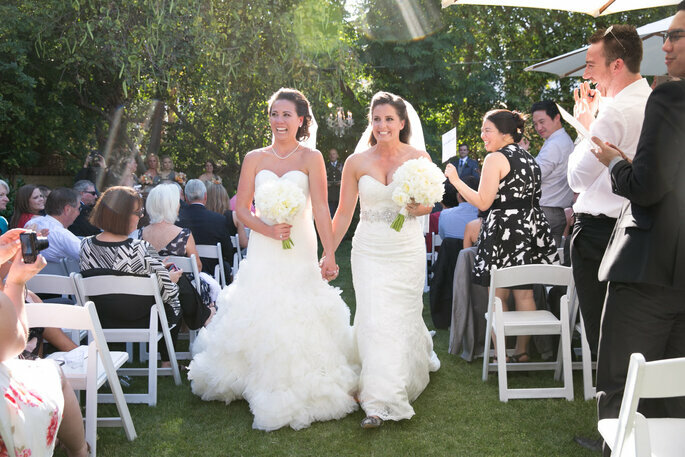 Michelle and Ashlee were convinced they were the only two gay friends their mutual friend Melissa had. 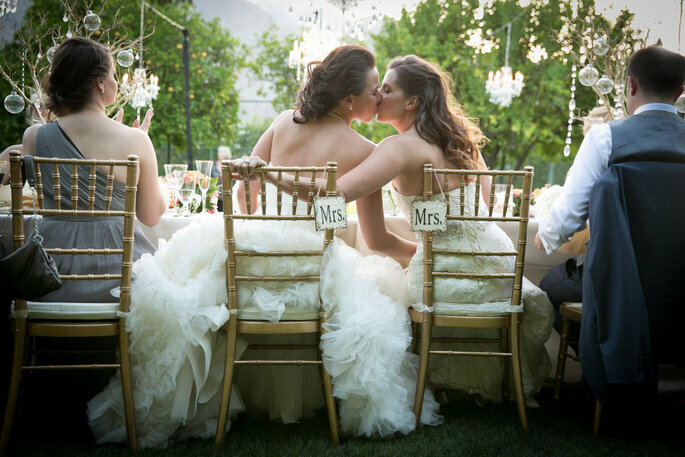 When Melissa came to that realization, she insisted they meet and the rest, as they say, is history! 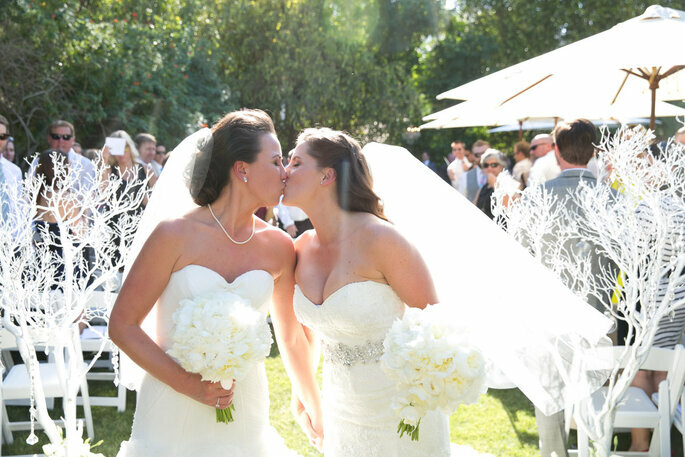 It turned out that Michelle and Ashlee were a perfect compliment to each other. 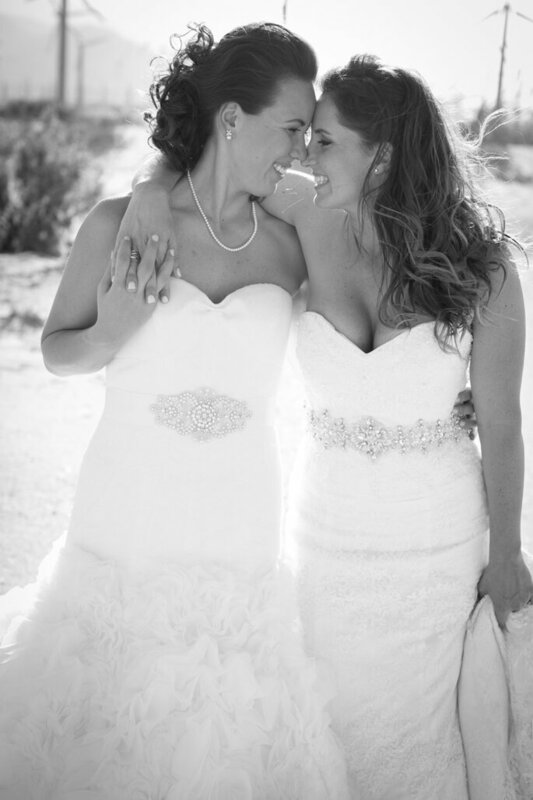 Michelle’s weaknesses are Ashlee’s strengths, and vice versa. 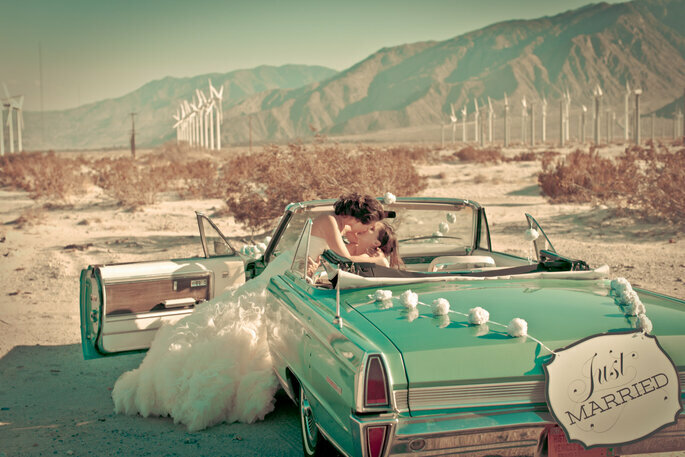 This would shine through in their wedding planning too. 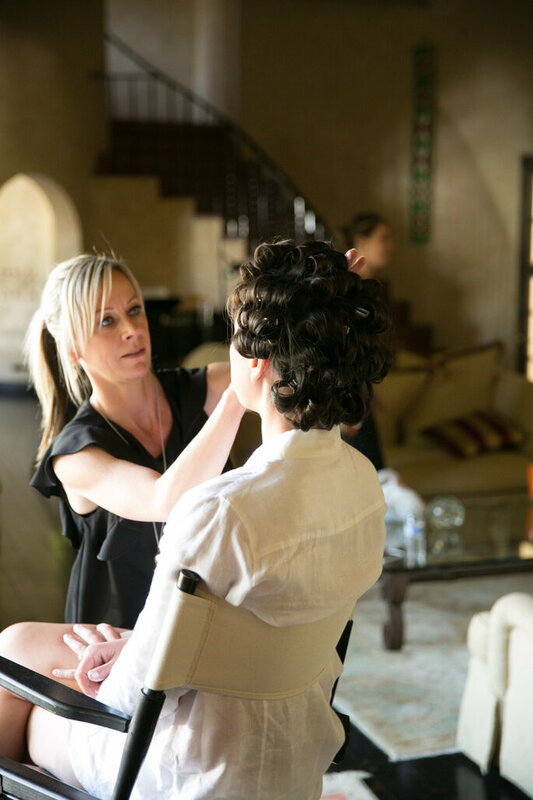 As in, Ashlee would dream big, Michelle would manage the budget and add the aesthetic touch, and together they would implement. 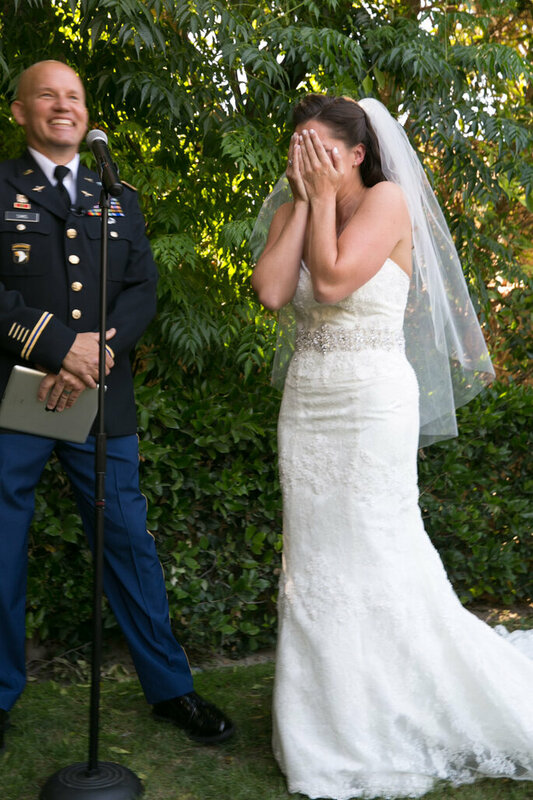 While floating down the Colorado River (a particularly special place for the couple, as it was where they shared their first kiss and where they met each other for the first time) at sunset in their boat, Ashlee got down on one knee between the driver’s seat and passenger seat and proposed. 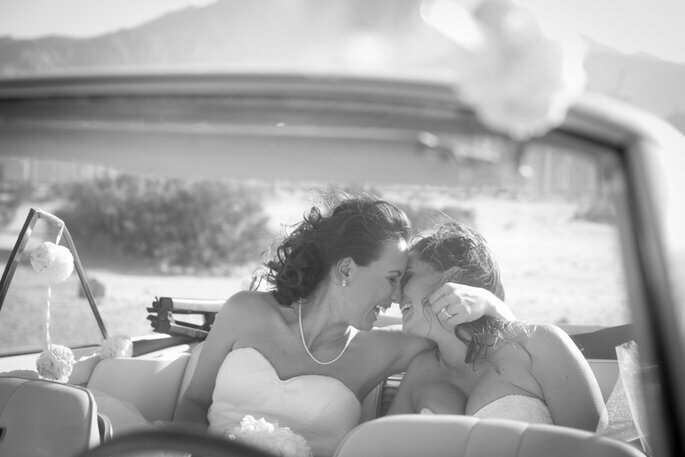 With the reflection of sunset on the water, it was a very intimate moment, exactly as Michelle wanted it. 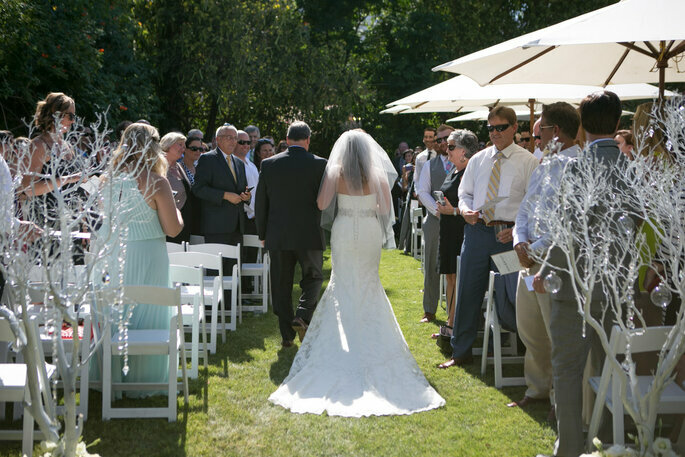 All their friends and family were waiting to celebrate us when the newly engaged couple docked. 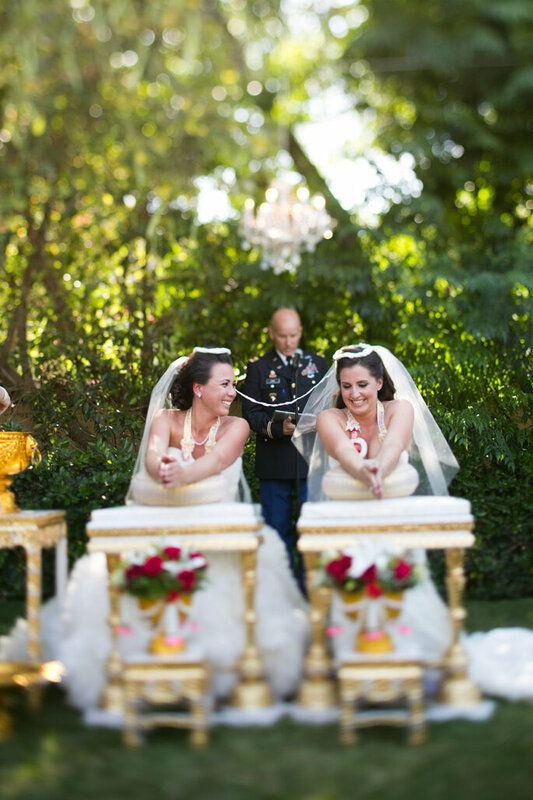 A month later, Michelle proposed in similar fashion – floating down the river – with Ashlee’s engagement ring hidden in a tupperware full of grapes. 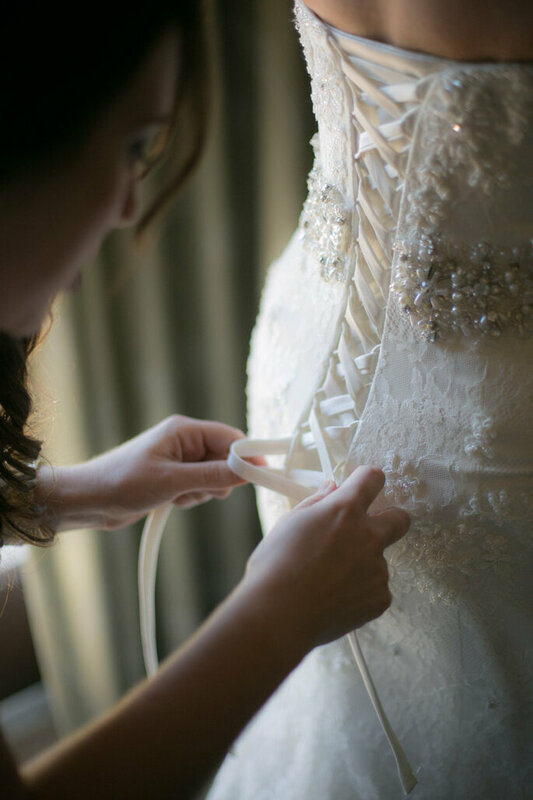 They had always agreed that they both would don an engagement ring, but Ashlee had no idea that Michelle had gotten to work on designing Ashlee’s ring immediately after Ashlee’s proposal. 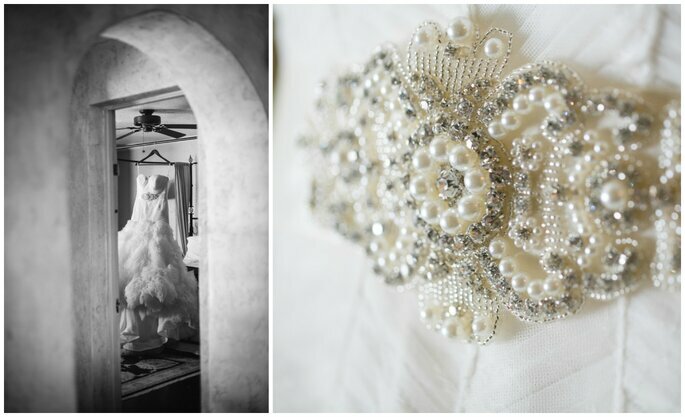 The brides knew they wanted the wedding to be classic, elegant, and timeless, all while being traditional. 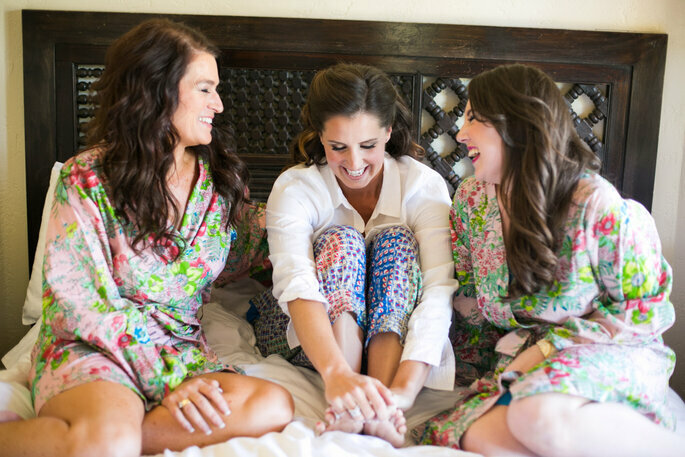 As both brides had very busy schedules, they knew they had to hire a wedding planner and chose to work with Cathy O’Connell from Celebrations of Joy. 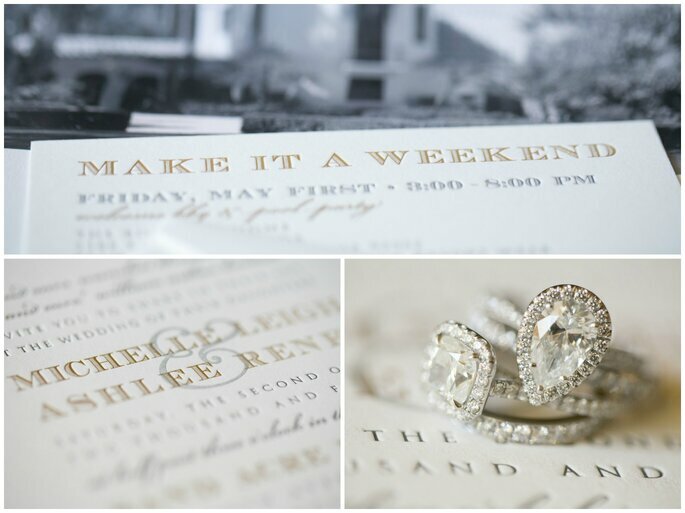 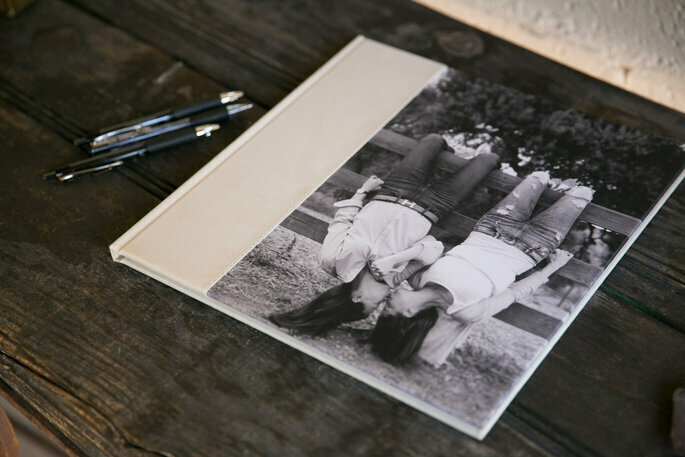 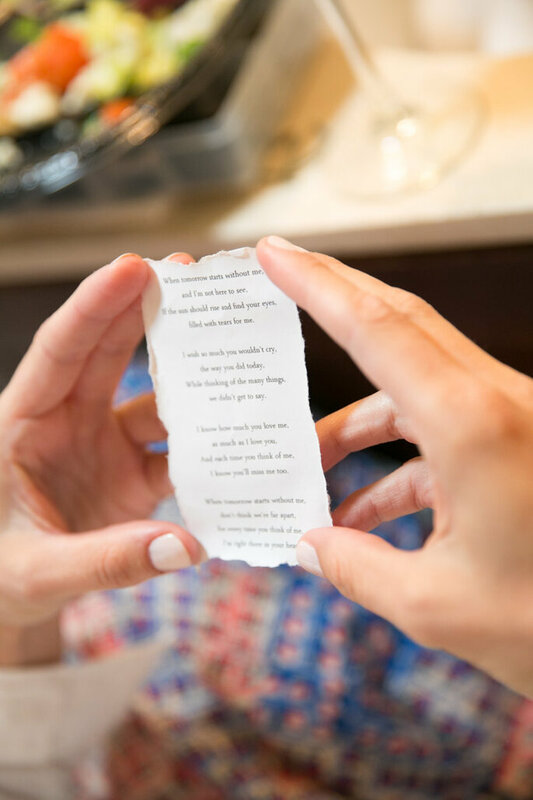 Their initial inspiration for creating their big day was two-fold. 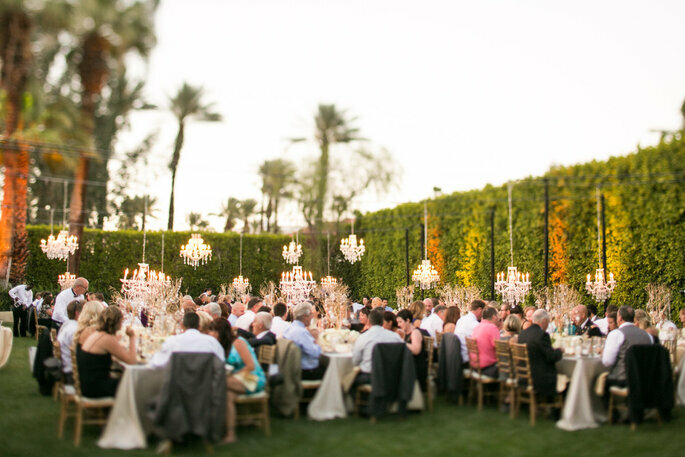 First, the venue at Sand Acre Estate in Palm Springs. 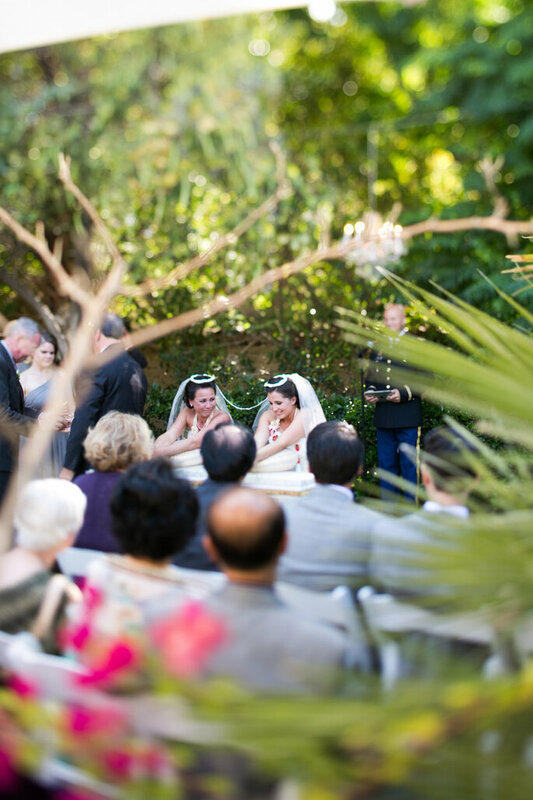 Second, the idea of outdoor chandeliers – the brides ended up with 18 total chandeliers suspended outdoors. 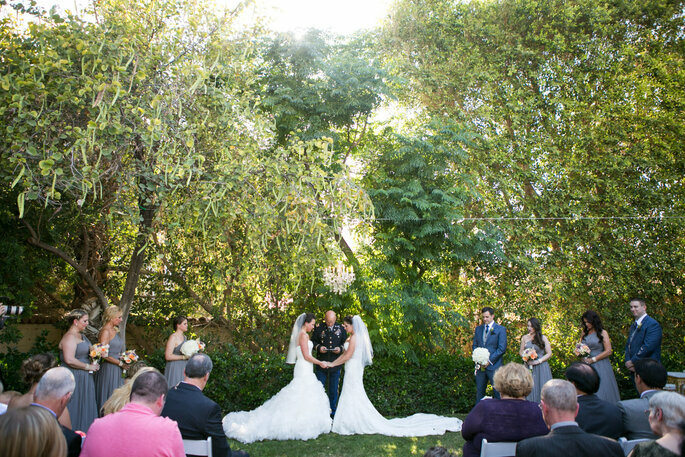 From there, everything blossomed and with the help of Cathy and Celebrations of Joy, they created the wedding of their dreams. 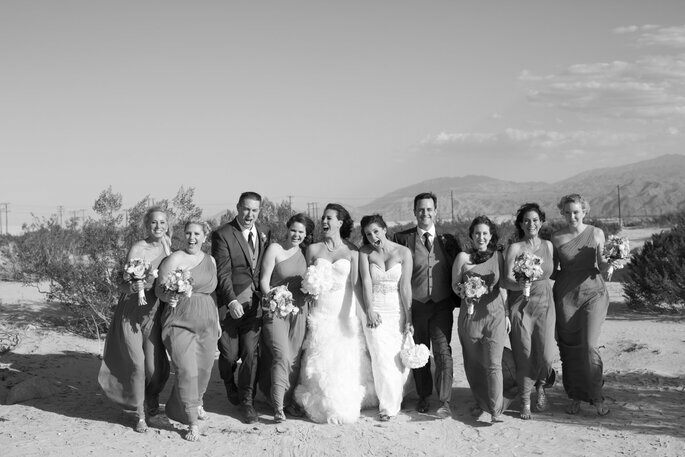 The Brides’ wedding dresses came from David’s Bridal and Angelo and the bridesmaids’ dresses came from J Crew. 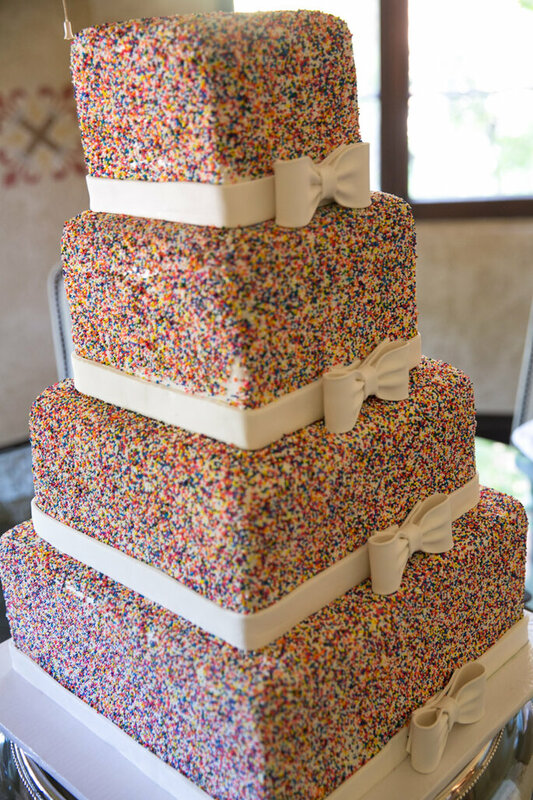 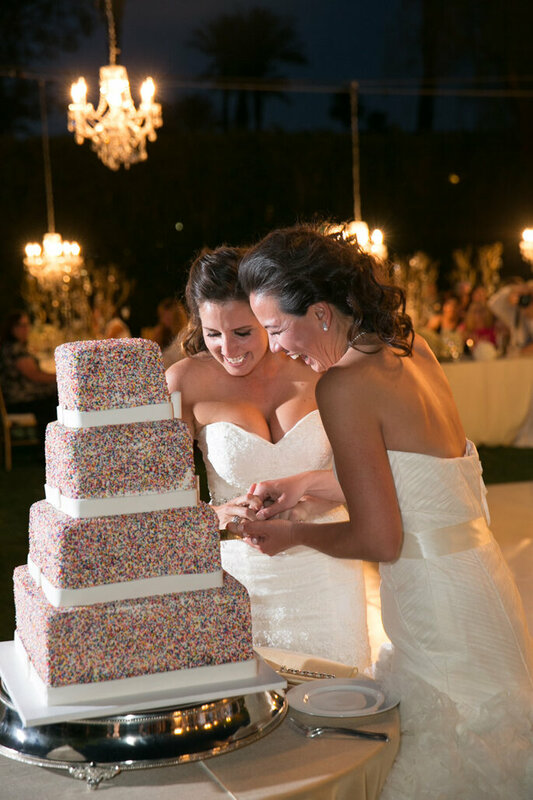 How amazing is this rainbow sprinkle wedding cake by Over the Rainbow? 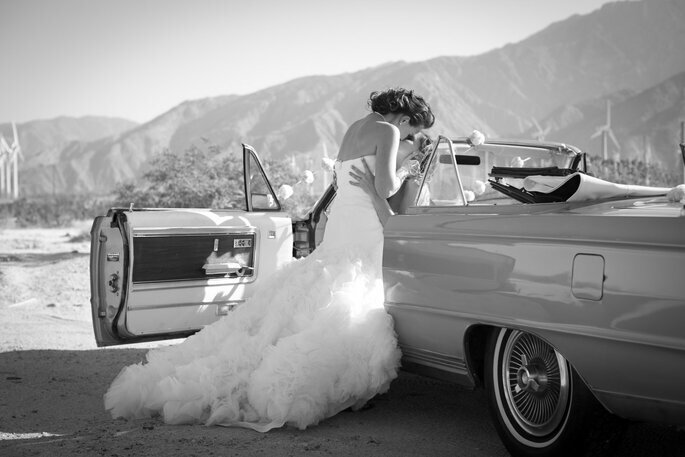 The wedding video was captured by Isabel Cinematheque.